Armasure is simply dedicated to providing New Zealand with affordable, high quality stab vests body armour for all those who live and work in high threat environments. Our products are regularly internally and externally independently tested by agencies in Australia, Europe and the USA. We offer special discounts for civilians in danger, so journalists, NGO workers and medical staff can all get hold of good armour cheaply. Our global reach and distributors enable access to our product all over the world. Contact us for dealership options! We have a wide range of stock, ready to send, so we can service customers both small and large, with quick delivery from our UK and New Zealand warehouses. With our skilled designers and technicians working with our trusted OEM manufacturing partners around the world, we have created a product range that caters for a wide range of requirements, threat levels and risk environments. 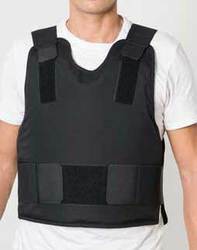 Stopping up to 36J of strike energy at a bargain price, with ultra thin panels for unobtrusive under clothinbg protrection, our concealable knifeproof vests are essential for anyone walking through dangerous areas. For those in security, law enforcement or community work, these high visibility stab proof vests provide 36J stab protection and MOLLE webbing and pockets for accessory attachment and storage providing great versatility. Tell your friends about us. We offer discounts for journalists + charity workers. We ship anywhere in the world in a way that suits you. Through Paypal, you can pay with a wide range of credit cards easily and securely.